(00:53) Thanks for the reviews! Give us a review on iTunes and we’ll read it on the air. (01:51) The house passed a bill permanently banning the IRS from creating its own free online tax preparation software. Here’s the coverage in Huffington Post, Business Insider, and ProPublica. For the history on IRS-assisted tax prep and the arguments for and against, listen to Planet Money #760: Tax Hero. (08:43) As cashless stores grow, so does the backlash — this time in Miami. (16:24) Canopy released their new mobile app. (17:38) TaxJar now integrates with NetSuite via SuiteTax, demonstrating their move upmarket in the wake of the SCOTUS Wayfair decision. (18:31) Thanks to Caleb Jenkins for posting a screenshot of the beta “Receipts” feature in QuickBooks on Twitter. Take a look here. (20:20) Here’s an update on the QuickBooks Online Advanced free upgrade period. Also, Blake has a hack so you can avoid ever paying for more than 250 accounts or 40 classes/locations. (27:19) How many CPA firms permit flexible and remote work? Find out as Blake details stats from the 2018 Anytime, Anywhere Work Survey by ConvergenceCoaching. (29:49) A 2-year Stanford study found that people are significantly more productive when working from home. Watch the TED Talk or read the article. (33:59) People have a reason to be paranoid when it comes to smart speakers. It turns out Amazon workers are listening to what you tell Alexa. (37:26) In China, the Communist Party under Xi Jinping is asserting ever greater ideological control over the population — this time with the help of an app. Thanks for listening! Follow and tweet @BlakeTOliver and @DavidLeary. Find us on Facebook and, if you like what you hear, do us a favor and write a review on iTunes. This episode of The Cloud Accounting Podcast is sponsored by Xero. As a listener of this podcast, you are probably keen on getting industry insights, staying ahead of leading-edge technology, and boosting your network. Well, I have some good news for you. This June, at Xerocon 2019, Xero will bring together hundreds of tech-savvy, future-minded professionals just like yourself from across the Americas, and the entire globe. Come join Blake, myself, and this collaborative community in action, June 18th and 19th, in San Diego. To receive a special discounted ticket to Xerocon 2019 in San Diego, head over to CloudAccountingPodcast.com/Xerocon. That is Cloud Accounting Podcast dot com forward slash X E R O C O N. Book your Xerocon ticket today, and we'll see you in San Diego. We got some more reviews this week, David. We got more reviews. More reviews, and not only that, iTunes changed their page, so you can actually see the reviews. I can see the reviews without using an Apple product now. I'll read the is from DamienK1970: " resource for up- accounting news. Blake and David do a great job of providing mostly unbiased reviews of the accounting- world, and make it enjoyable along the way. They make great sparring partners when debating topics, but most of all they provide an aggregated verbal feed of the latest business, and associated software news. Thanks guys keep up the great work." Well, thank you, Damian for agreeing that we are mostly unbiased. In today's world, that's a strong endorsement. Perfect, though. Another review came in from Fogged In Books from Twitter: "Keeping me informed. I look forward to the industry insights and current events each week. Lots of good nuggets, and a solid dose of entertainment to the side." Thank you so much. David, what is the big news this week? Can we talk ... We can talk about Intuit, right? H&R Block, and Intuit are trying to crush the IRS, and stop them from building their own free tax software. Yeah, this got a lot of traction this week. Huffington Post picked this up. "The House passes a bill hampering free online tax filing." My initial reaction when I saw this, my gut was like, "Oh, I see this every year ..." I feel like I've seen it every year. Historically speaking, there's a Free File Alliance. It's H&R Block, and TaxSlayer, and TurboTax. They all agree to provide some level of tax filing for free, based on income, to a percentage of Americans. Basically, I think it's something like about 70 percent of all taxpayers can use this for free, but only about three percent take advantage of it. So many actually go to the brick-and-mortar stores, et cetera. Why aren't they using it? That's what I've never understood. It's free. You can use it to file Federal for free, but people don't do it. Right. Well, I'd imagine ... Do you think that could be deliberate? I don't know. If "House passes bill hampering free online tax filing" is not a great headline, here's a worse one. This is, "The House passed a bill banning the government from creating free tax-preparation software, like TurboTax, forever." That was in Business Insider, and that featured images of a pair of congressmen, old, white congressmen laughing. This is the part that I don't really understand, or maybe you can explain to me, David, coming from Intuit. The IRS, in the past, has not been able to build their own free tax-filing service because of this alliance. What's the deal with the 'forever' part? It's interesting that you said that. I'm looking at my Huffington Post article, and I don't see the word 'forever.' Obviously, this is being reported different ways. Maybe 'forever' is the better headline here? That's why I think, when I saw this story, I didn't think anything of it, because I think I even looked on Wikipedia - the Free File Alliance. This goes back to 2005, maybe even earlier. Some of that agreement's, also at that time ... A lot of, even Intuit, I think, did it at that time ... These instant loans at super-high interest rates for filing your taxes. You'd get your tax refund back as Best Buy gift cards. Some of the agreements, you'd get ... That was kind of a negotiation. People like Intuit, they agreed to stop doing those types of practices with taxpayers, and, in exchange, they'd file taxes for free. Every year, this seems to be renegotiated, and goes back and forth. I think that's the bigger question is how come so many ... How come nobody's using this? Here's a possible explanation is that, in an article linked from the Business Insider article, this is in ProPublica; looks like a detailed analysis. It says that critics of the program say that companies use it as a cross-marketing tool to upsell paid products that they have deliberately under-promoted the free option, and that it leaves consumer data open to privacy breaches. Of course, what it totally looks like is that H&R Block, and Intuit have lobbied these congresspeople, and this is serving their interest. If the IRS doesn't create a free product of its own, then the Free File Alliance can sort of build a version of this that they don't really promote, and people don't end up using. I don't know. It doesn't look good. The optics are not good here. Planet Money had a podcast out this week, and it's actually a replay of one from a few years ago, when this came up. It's about the lobbying of Intuit, and H&R Block, so it's really related to this story, so we should get that linked in. Ultimately, this is as American as apple pie, because the argument from a lot of people is, "Oh, the government should just send you a form; you sign it and you're done. The government should just do this for you." Well, yeah, and the reason is that, for the vast majority of people who would qualify for this program, they only have employment income. They have a W-2, and they just take the standard deduction. The IRS, through their employer, already has basically all the information that you need to file the form, so, why can't the IRS just send you something they've already filled out, and you can choose to just accept that, or you can then file your own return? It seems very sensible to me. That podcast from Planet Money talks about that. They did an experiment, and then people thought it was the most amazing experience to be able to do that, but it leaves the door open to ... From a taxpayer-rights perspective, some of the arguments are the government could just start inching up that tax rate, and you'll just sign it. "Thank you. I'm good." People won't pay attention to what's happening in the government as much, if you're not somewhat more in tune with your tax situation. Got it. The argument is that people will be more disengaged if they aren't filing their own returns. I guess that's possible. I just feel like people are already pretty disengaged, because the whole thing is so complicated that even when you go to a ... When you go get your tax return done at a tax shop, you don't really look at the forms. No lay person looks at the forms to try and figure them out, do they? I don't even wanna do that, and I'm a CPA. I mean, I do look at them, but I feel like most people wouldn't. It's interesting, because if the IRS has a page for people to go, and do their taxes for free, now the IRS is ... "Hey, we're gonna build tax software. It's a website you can go to, to do your taxes for free." Are people actually gonna go to that website, instead of the website that they already have that offers free tax filing? Well, the current website, the way it works is it's a referral. You go to that page, and then you get referred out to Intuit's free file program, whatever that is called; the free version TurboTax. The argument is that Intuit wants you to pay, so they're gonna figure out how to steer you into a paid product, rather than actually get you to the free [cross talk] you qualify for. -I get that argument. That makes sense, but look at our last week's show ... The governments do not have a good track record of making software. No. Well, hey, you know what I would be okay with? I would be okay with the Free File program continuing, and the IRS not building their own program, if there were actual metric. In order for the Free File program to continue, they have to get above 10 percent, not ... Three percent's ridiculous. Maybe that would be a compromise. Yeah, you're right. That would require the IRS to try harder. It would require H&R Block, and Intuit, and everybody else to try harder. Then, you're competing with the Liberty Tax, you know, on the side of the road, flipping signs. Moving on, let's follow up on a story that we've covered ... It was a few weeks ago, we talked about cashless stores - stores where the owners have decided to no longer accept cash; you can only pay with credit card - and the controversy that is created in some cities. Philadelphia flat out banned cashless stores, recently. San Francisco is considering a ban, and there has been talk in LA, where I am, about that. The reason is lawmakers feel that it disenfranchises some people who don't have credit cards. What's new on the cashless-store front? The Miami Herald had an article; it's titled, "As Cashless Stores Grow, So Does the Backlash." What I liked about this article is it actually, unlike some of the other articles, this one actually has some stats. Some of these stats even possibly tie back to what we just talked about with the House bill stuff, and either the under-banked, or low-income people that can't pay for software. Same thing, they can't ... They're un-banked, so they can't get credit cards. A couple things that stood out to me. 6.5 percent of American households - that's 8.4 million people - do not have a bank account, in any way shape or form. This is from the FDIC. Right? Essentially, there's a larger group called the under-banked. What that is- it means they have a bank account, but the really rely on alternative financial services, like check-cashers, payday loans. There's about 24 million people that are like that. Even the article talked about somebody; he was an immigrant. He was able to get his checking account, but it took him two years to get enough cash built up in it, to where he could you know feel free to use his debit card. This number's probably even greater. Even people that do have bank accounts aren't able to use it. This issue disproportionately affects African-American, and Hispanic communities. About 17 percent of African-American, 14 percent of Hispanic households have no bank accounts, compared to just three percent of white households. That's, again, from the FDIC. It really is ... It is an issue of discrimination. But there's also stats in here from a small-business owner, because I really understand that point of view, as well, right? Leo Kremer, he's the co-owner of Dos Toros, which is a taco shop that was kind of the focus of the article. He said that the volume of cash transactions at his store has fell from about 50 percent, a decade ago, to 15 percent, last year. The cost, and logistics of him handling cash doesn't make as much sense as it used to, and he's been held up, or robbed twice at his locations. I said this in our previous episode; I think it's a good solution. I think that instead of banning cashless stores, like Philadelphia did, which is just bad for businesses, and forces them to bear costs that they don't want to bear ... Instead of doing that, create a program where your under-banked citizens can get access to debit cards. They can then use those prepaid debit cards, right? Make them free, or something like that. Then, they can use it at those businesses. It helps everybody. The businesses make more money, because they can serve those customers. It's a good use of taxpayer money; it helps businesses, and it helps consumers. I don't know. What do you think, David? Tinfoil hat, here. There's people that don't wanna be tracked, and you just wanna use cash, you know? You create an ... It's like an ATM. You put your 20-dollar bill in the ATM, and it spits out a prepaid card with 20 bucks on it. One thing in this article that happened ... The gentleman who was trying to buy the tacos, and he didn't have his credit ... He only had cash ... Basically, there's a whole underground economy now sprouting up, like, "Hey, you got cash? I'll buy your tacos for you. You give me your cash," and there's a little fee involved. We do that all the time here at the office. People don't carry cash, so, when somebody wants to go buy a burger from the burger stand behind our office that is cash-only, they will go on Slack, and ask, "Hey, can I Venmo somebody 20 bucks for a 20?" That's how we get cash around here. What? Charge people a transaction fee? Exactly. There's a new business model here. Maybe you can sell Bitcoin on the side, too, right? Be a whole service. David, going down your list, I loved this article here that you brought. The title" "Using Quicken for Farm and Ranch Accounting." This is The Cloud Accounting Podcast-. Is Quicken still a thing? Yes. There was an article yesterday - yesterday - in the Journal-Advocate ... dot com; Journal dash Advocate dot com. The headline of the article is, "Using Quicken for Farm and Ranch Accounting.". To me, this is kind of like the What the Hell of the week, because even ... Let's just note this down; Intuit was founded with Quicken. Quicken was the initial product that Intuit was founded on. After 30 years, Intuit sold Quicken, because Intuit had Mint in the cloud; TurboTax in the cloud; QuickBooks in the cloud. They sold Quicken Personal Finance software. It was always really for personal-finance software. People have used it for businesses, et cetera. It's a professor, and he's in Oklahoma, and he's actually spent most of his career, obviously, because he probably started this when Quicken started, on how to customize, and tweak, and squeeze Quicken to run your farm, or your ranching business. The argument is that it's user-friendly, readily available, flexible, and inexpensive. I'm just shocked that here we are, we're doing The Cloud Accounting Podcast, and there's still people trying to use Quicken to run their business; not even QuickBooks Desktop. This is Quicken to run their business. It's super-amazing. That was a good year? A good vintage? That was a good one. No, it actually was really good. I'm not just saying that. I bet you there will be people running QuickBooks 1999 on some virtual server somewhere, in the year 2099, because they don't have to pay for upgrades anymore [cross talk] When they're manually keying in those transactions, because they don't have the bank feeds. Yeah, it was an oldie, but goodie, I guess. I was really surprised to see an article this week about Quicken. Since we're talking about apps, we're talking about Quicken, let's talk about a cloud app ... This is The Cloud Accounting Podcast ... Xero has an update. Their new invoicing is now landing for all customers, and you can learn all about it on the Xero blog. What is new with Xero's new invoicing? There is a better user interface; it is more modern, and easier to use, with a clean layout. That's always nice. The thing you'll really care about is that you get automatic saves. You no longer have to worry about losing unsaved changes, or hitting the save button. One of the cool things, too, is that they're using a little bit of AI. When you start typing in a description, and you tab over to the account-selection column, it will automatically choose an account for you - an expense account, income account ... income account, in this case - based on the description. Hopefully that sort of AI will increase data quality for accountants, because you've got business owners and their employees in there doing invoicing. They may not always get the account right, but this can help ensure they have a greater chance of choosing the correct revenue account. Yeah, it's really infuriating when you're working, and you realize that you didn't save it. That should just be standard now. Yeah, some more app news, here. Canopy now has a mobile app, just in time for Tax Day. Canopy is practice-management software for tax professionals. The app is compatible with IOS, and Android; available on Apple iTunes, and Google Play. It looks like most of the features in Canopy are available in the mobile app, such as accessing files, communication directly on your device, client contact information, tax documents, tax records. Now you can never get away from all the tax work in your firm. Yeah, so, now I can work from the soccer field, if I need to. If I need to close down a client record, or communicate with my team, I can do that through there. That might make sense. Maybe you've got that one last thing that needs to happen, right? You're holding everybody up, but you don't have to be in the office now. Maybe that'll help firms cut down on Busy-Season Saturdays. I find it odd that they released- that they offered this on April 11th. Maybe it's late; maybe they wanted this out two months ago, but nobody's gonna download this, and use this in the next six days. I'm gonna guess they were trying to capitalize on Tax Day news, because they're a tax app. That's my guess. I got one more; actually, I got two more for you. TaxJar is now integrating with NetSuite. That was interesting because TaxJar has always been an app for small businesses, ever since the Wayfair Supreme Court decision which has just totally turbocharged the sales-tax-automation world, because now, so many more businesses have to collect, and remit sales tax all over the country, in multiple jurisdictions. TaxJar's just been growing like crazy, and now they've got this NetSuite integration, which clearly indicates that they're going upmarket. They're looking to target mid-sized companies that are on NetSuite. I can totally see them butting heads with Avalara. Yeah, them going upmarket's really impressive, because I think TaxJar always really prided themselves as like, "Hey, we're for the smaller guys." We talked it. They took out a huge round of funding. They're going upmarket. They're expanding in all directions. We'll be hearing more and more from TaxJar, I'm sure. It almost reminds me of the old-school online banking screen. The top half of the screen would be all the online-banking transactions, and the bottom half of the screen would be your transactions in QuickBooks, and then you would match them. This kind of feels the same way, where the top half of the screen is all the images of your receipts, and the bottom half is your bank feed, or your transactions. You're just dragging, dropping, clicking. I have not seen it. I just saw a screenshot, but it looks like it truly, truly is just a receipt-matching. I wonder how much automation there's going to be in this, or if it's gonna be a manual process to match up those receipts, and those transactions, or to create transactions out of the receipts. Be interesting to see. I thought this would be inevitable. 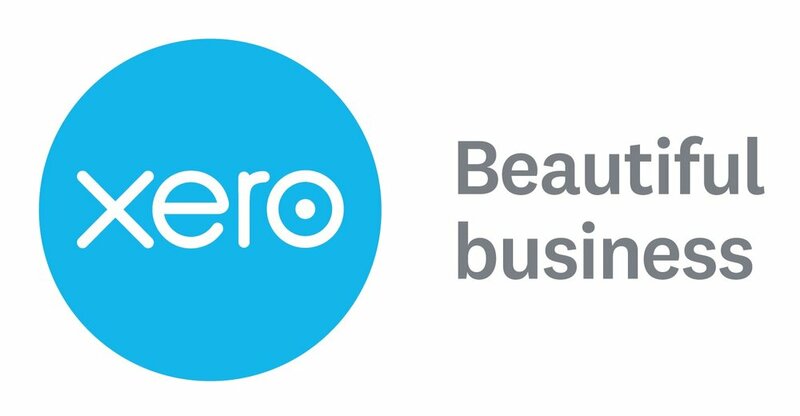 When Xero acquired Hubdoc ... Xero's obviously gonna build that functionality into their app eventually. I think they have to make the acquisition worth it. This is clearly QuickBooks now saying, "We're gonna build out our moat, and defend our app by building the same type functionality." I love this competition. It's great. It's so good for end-users. I just run everything through AutoEntry, and it just goes into QuickBooks, and then it matches in the bank feed. I don't have to match anything. If you want to see this screenshot, the link to Caleb's post is in the show notes, and if you know more about it, shoot us a tweet. You've got some news about QuickBooks Online Advanced, right, David? The QuickBooks Online Advanced story feels like it just keeps chugging away. Well, I still can't figure out why anyone would want to buy QuickBooks Online Advanced, unless ... The only the only differentiator between Plus is 25 simultaneous users, which you've always said it's ridiculous to even have that many people in the GL. Well, I think they had ... In the olden days of QuickBooks Desktop, there was not a lot of options for people. You would use QuickBooks Desktop to run your whole entire company. You just would, and you would invite your warehouse staff to get in there. If you had a lawyer, and he needed to get in there, he could get in there. You just have everybody's fingers in the accounting system. The whole point, in my brain, has always been with online-accounting software, and the GL, you might have your accountant, your CFO, two bookkeepers ... You have a couple people, in a bigger company, in there, but the rest of your staff ... If you have a warehouse, and you have 40 employees in the warehouse, you get real warehouse-inventory software. Those people only interact with the inventory software, and the inventory software, because of APIs, talks to the GL. In my opinion, if you need 25 people in QBO, you need somebody to look at your processes. To me, I think that's a serious problem. I also question even having the Fathom stuff built in the reports, because all that's gonna do is encourage more managers to be poking around in your QuickBooks, versus giving them Fathom separately; like, "Hey, here's an iPad with Fathom on it," right? It's funny, because last night, there was a- or this week, there was a podcast on the QBO Show. -Christine Byrne, is that right? She's their Group Manager of Business Operations at Intuit. I didn't really understand the value of it, at this point, and there was a question at the end that she didn't answer. Stacy and Richard, who host the QBO Show, they asked her multiple times, "Are you trying to make QuickBooks Online Advanced equivalent to Enterprise? Is that the ultimate goal, to bring parity?" I've always assumed it is, and it seemed kind of obvious, especially if they're implementing these user limits, and the transaction limits, and whatnot. They gotta build some actual features from Enterprise for people to want to pay $150 a month for this, right? She wouldn't answer the question. Why not? I think it's a tough question, and people have been asking this question for a year, "When is ..." and people- That's their argument: "I'll switch to the cloud when QuickBooks Online has the same features of QuickBooks Desktop." That was people's argument against QuickBooks Online. The reality is QuickBooks Desktop is now 25 years old, and you could argue it was done in Version 4, version 5. It was done in 1996, and then, every year, 800 features got added to it for the next 12 to 15, 17 years. For feature parity, to really have feature parity, are you gonna wait around another 15 years for QuickBooks Online to have feature parity with QuickBooks Desktop? It's never going to happen, and that's why it's a hard question to answer. It's never going to happen. I don't know. It just seems like that's where they're going with this. If they aren't, then they're not gonna be able to get these Enterprise customers, ever, off of Desktop. I just think it's weird not to answer that question. Why not just be honest about it, or if you can't answer it, just say, "No, I can't tell you at this point. That's not something we can reveal." It just felt very strange. I've always felt it would be QBO plus apps, or Xero plus apps. Xero and QuickBooks are your GL. The accountant, or bookkeeper, that's their domain. All the other employees of the company use ... Even your sales team. You can put them into quoting, and CRM software that does the sales, and custom prices, and price levels, and shipping. All that stuff would take place in the other apps, and not in the accounting systems. That's always been my point of view. You have a bulk import of invoices. Ooh, big whoop! I could see people paying a premium, just like I pay for faster internet at my house than maybe my neighbor pays at her house. I could see people paying- businesses maybe paying a premium to have a faster QuickBooks Online, because it's either ... It's on a faster server stack; it's not on a shared server. I don't know, but I could see people paying for bonus-type stuff. I guess. I think they want the Enterprise features. That's what they want. I'll tell you the one thing that I did figure out from the interview: there's a way around the limits. There's a hack. Christine said that if you already have more accounts, or more classes, or locations than the new limits, when the limits go into effect, you'll get to keep those. You won't be able to add new ones, but you'll be able to keep the ones you have. For example, the new limit on accounts is 250. If you have 1,000 accounts when the limits go into place, you will be able to keep those 1,000 accounts, and you'll be able to edit them. All you have to do is go create [cross talk] Yeah, go create hundreds of accounts, and classes that you don't need right now, and when the limits go into effect, you'll be able to keep them. Then, you can just edit them, and name them, if you ever need them. That's my hack for you, if I understood it correctly. Yeah, because if you're not using them, they're not going to show up on reports, and be in your way. Call them Z-Class One, Z-Class Two, and just have that over and over again for 500 classes, and you could do that with the same chart of accounts. They'll just be at the bottom; you'll never see them in your list. That's an interesting possible hack. -our audience will appreciate it, I hope. Please do it, and tell me if it works. All right, we talked about ... Let's see, we talked about Quicken for farm and ranch accounting. We talked about the cashless stores. David, this week, I did a webinar. I haven't been on a webinar in a little while as a guest. I was presenting to the Texas Society of CPAs - Houston Chapter on remote work. Ironically, I was doing it from the office, but, as you know, I am a fairly remote mobile worker. I can work from anywhere. I have that flexibility. I did when I was in public accounting, too, which I really loved. I've always been interested in remote work, but I also ran a completely remote accounting firm. I presented on remote work to this this group online, and I've got some stats that I can share with you on remote work. I find this kind of interesting. This is from the 2018 Anytime, Anywhere Work Survey. I've been sharing some stats over the last couple of weeks. You're a little obsessed with this. You're very obsessed with this survey. It's just really well-done. Convergence Coaching did such a good job. Last week, I shared a stat about unlimited PTO. Here's some stats on remote work. How many firms offer day-to-day anywhere flex? Meaning that you can change your hours around; it's just flexible. If you've got a doctor's appointment, no need to request the PTO. 70 percent of CPA firms that were surveyed have day-to-day anywhere flex, and 30 percent do not. Actually, I was kind of shocked that it was that large. 30 percent of firms don't give you flexibility in your life? That's kinda cruel. I don't know if that surprises you, David. Then, I've got one more stat here, which is on the work from home. Does your firm offer work-from-home programs? This is different than anywhere flex. For example, anybody, if they want to, can work at home on Fridays, or maybe you have employees that always work at home; that sorta thing. Here's the stat: 45 percent of firms have employees who occasionally work from home, and 43 percent of firms have employees who regularly work from home. Put those together, and 88 percent of firms - if I got that right - 88 percent of firms support working from home these days. Only eight percent of firms do not offer any work-from-home programs. Four percent don't offer, but are thinking about offering those programs. Interesting. I had homework from last week, regarding some of these employee benefits, and survey-type things, so I will go get those up, but I'm gonna give you homework for next week. I think I saw an article from HBR - Harvard Business Review - about how remote workers get disengaged faster, and are very highly likely to quit soon. Well, I have another stat, or another study that says the opposite, which I can share with you right now. There's a really great TED Talk. If you search for Nicholas Bloom - I'll put the link in the show notes ... Search for Nicholas Bloom, and remote work on YouTube; you will find his TED Talk. He is a Stanford professor who did a study with a Chinese company based in Shanghai. The company is called Ctrip. It's China's largest travel agency. They have 16,000 employees. The CEO there was interested in giving employees the work-from-home option because office space at their Shanghai headquarters is extremely expensive, and because the employees had very long commutes to work. Kinda sounds like Los Angeles. They did a two-year study, in which they picked 500 employees, and they divided them into two groups. There was a control group that continued working at the headquarters, and then there was a group of volunteer work-from-homers. They had to have a private room at home, at least a six-month tenure with the company, and decent broadband access to qualify. 250 worked at the office; 250 volunteered to work at home. A true test; a true A-B test. It was incredible. he work-from-homers increased their productivity equivalent to a full day's work. It doesn't say this in the survey, but that, to me, is like 20 percent; a full day of work every week. Basically, the work-from-homers would work a true full shift, or more, versus being late to the office, or leaving early multiple times a week. They found it less distracting, and easier to concentrate at home. Employee attrition decreased by 50 percent among the telecommuters. They took shorter breaks, had fewer sick days, took less time off ... Oh, by the way, it was better for the environment, because they weren't commuting, and the company saved $2,000 per employee on rent, by reducing the size of their headquarters office space. Kind of a ringing endorsement of letting people work from home, right? Now, there was one downside: when the study ended, half of the employees who had volunteered to work at home decided to return to the office because they felt too much isolation working at home all the time. The other half decided to keep working at home. I think what this suggests is that working from home could make employees feel more isolated, but they'll definitely, on the whole, be more productive. If you gave employees the option - if they wanted to work at the office, or at home - that's probably the best of both worlds, because the people who really want to work at home will work at home, and be super-productive; the people who get too lonely can come to the office. Yeah, and have that balance, that freedom, right? That's ultimately what cloud accounting gives you; it gives you that freedom. I did find my promise from episode 68; I promised to create a survey. Actually, I created two surveys. Unfortunately, I think everybody's heads down. and not a lot of people responded. Survey number one, we actually had 15 responses. I'll read this, how I put it on Twitter: "I get unlimited PTO, and the accounting/bookkeeping firm I work for employs ..." 67 percent said they were to solo to 10 firm; 13 percent said medium firm, 11 to 20; 0 percent said 21 to 74, and 20 percent said 75-plus, major firm. This really aligns to the survey data that I kinda questioned. I'm not perfect, but I think the numbers show it's the major firms, and the solo firms, and the ones in the middle - the medium, and large - are the ones not offering unlimited paid time off. Interesting ... The theory that we talked about last week, which we really still haven't answered the why of this, but the theory is that with the major firms, they simply have the staffing to be able to support this. The small firms are lean enough to be innovative, or they can move quickly, and make these changes. Whereas it's those firms in the middle that have trouble changing that culture, or changing that policy. Or I don't have anybody that works at a firm between 21 and 74 following my podcast, so that could be the other reason. That's also possible. This is a very, very small sample size. You got a story here about Alexa. This kind of scared me because I have like three Alexas in my house. This got picked up pretty big across all the media. Bloomberg, I think, broke this story: "Amazon Workers are Listening to What You Tell Alexa." This is on Bloomberg, and it was April 10th, 2019. Long story short, this is a disclosure story. The marketing materials, the privacy policies, they say they use your data to train. "Hey, we use your requests you make of Alexa to train, so Alexa gets better." Even in the privacy settings, you can disable that setting, but they even still use ... Even if you've disabled those settings, they'll still listen to your recordings to use it. I think for us, and this is where it ties back to us, is the whole ... If you're an accountant, or CPA, and you have information being stored overseas, and you have to disclose it to your client, that's, I think, the key here. "The team comprises of a mix of contractors, and full-time Amazon employees who work in outposts from Boston, to Costa Rica, India, and Romania." Theoretically, these recordings are being anonymized so that they have no idea who they're hearing, but what if they screw that up, and it isn't anonymous, or there's something in the recording that identifies who you are? Even though it's not your full name and address, it's associated with your account number, your first name, and the device serial number. I think where this gets weird and creepy ... Apparently, the article talks about Apple has the same thing with Siri; they have the same policies. They're handling it a little different ways, but they're doing the same thing with Siri, as well. The thing to know, though, so people don't go freak out: it's not that these devices - well, at least according to the story - the devices aren't listening to us all the time or recording everything we're saying. It's only recording when you use the Wake word. If you say, "Alexa ..." I apologize if I just woke up your Alexa. If you say, "Siri," then that is what triggers the recording, and that part is what gets recorded, but people have ... I've read other stories, too, about people accidentally triggering those wake words all the time, so conversations that you may not have wanted to become Amazon's property are in their database. They're training; they're training, just like people are driving in those self-driving Ubers, and they're training Uber to drivel the same thing's happening with AI. Humans are somewhere involved in this process, training it, but, I think people don't know that's happening. It's so much more visual in an Uber; like, "Hey, there's a guy sitting in the car. He's teaching the car to drive." People don't really see it happening in other stuff. Then, it's also kind of ... I feel like there's a creepiness factor with the voice. If you have a receipt that scanned, and somebody's typing in the data, it's not you. Outsourced accounting. We talked about this in previous episodes. If somebody else is taking a piece of transaction data, and typing it in, it feels like so different than somebody listening to my voice that I did not know was going to listen to my voice, on my recording. There's some level of creepiness that's a little different with this. Inadvertently, like you said, people have recorded stuff, and the employees, this is stressful for them, because some of them have heard a sexual assault, they think; they've heard of somebody singing in a shower. They've heard things they don't wanna hear. Well, I've got another creepy story. Do you wanna hear this one? Okay, great, here we go. Stack 'em up. This was in the New York Times. The headline is: "The Hottest App in China Teaches Citizens About Their Leader, and Yes, There's a Test." Apparently, the Communist Party in China has an app. You can download it from the App Store. It's called Study the Great Nation. It is an app devoted to promoting President Xi Jinping, and the ruling Communist Party. Think of it as a high-tech equivalent of Mao's Little Red Book. The article features Chinese citizens who are spending hours daily on this app, checking news about Mr. Xi, and brushing up on Socialist theories. Can you imagine, we all have to download it? They know if we're using it, right? The app can monitor how active you are, and the more active you are, the better your social ranking becomes. They've also got this social ranking system now in China. It's a way of basically giving points to people, and tracking their social credit by what they do, and this is one of those things. Yeah, essentially, it's like your credit report had a baby with your Facebook, and Twitter profiles, and they're just combined. You have this score, and it just follows you around. Apparently, if you get this app, your score goes up. So, here's the real question: how do we get The Cloud Accounting Podcast into this app, because it's got 100 million users? I betcha the Big Four already have these. I bet you, if we look around, they already exist. That's my pitch is, if you're at a firm with a budget, create an app, and then use it to establish your culture in your firm. You can quiz people on the firm pillars. You can train them with videos on new policies, and procedures. Actually, if it was done in the right way, it would not be creepy, and it would be really, really cool. These apps can be used for good, and for evil. Yeah. I would love for us to have our own app. If you guys want to ... One day, when we launch an app, how would people go about finding that? Well, they would follow me on Twitter; it's @BlakeTOliver, or they could connect with me on LinkedIn, or they could follow The Cloud Accounting Podcast on Facebook. Just search for us there, and give us a like. Where should people reach you, David? Same thing; I'm on Twitter: @DavidLeary. A little piece of this article talked about how this app is used as a dating tool. You could use it to screen potential mates. If you see a guy on the subway using the app, you know you should marry him. Maybe you guys should use, on your dating profiles ... If you guys are out there single, and you're dating, feel free to say, "Hey, I'm a ..."
Cloud Accounting Podcast listener. Help you screen out a lot of the fodder there. On that note, David, great talking to you, and I'll see you again next week. Sonix quickly and accurately transcribed the audio file, “Cloud Accounting Podcast E69: Congress to ban IRS from creating its own tax software”, using cutting-edge AI. Get a near-perfect transcript in minutes, not hours or days when you use Sonix, the industry's fastest audio-to-text converter. Signing up for a free trial is easy. For audio files (such as “Cloud Accounting Podcast E69: Congress to ban IRS from creating its own tax software”), thousands of researchers and podcasters use Sonix as a simple software solution to transcribe, edit, and publish their audio files. Easily convert your mp3 file to text or docx to make your media content more accessible to listeners.